A French uplighter with brass frame and frosted glass shade. The frosted glass shade is formed with a diamond pattern adding detail to the piece. The simple brass frame has added decorative pieces on the outer edge which have a lovely aged patina. There are added cast flowers which are projected out from the central frame. 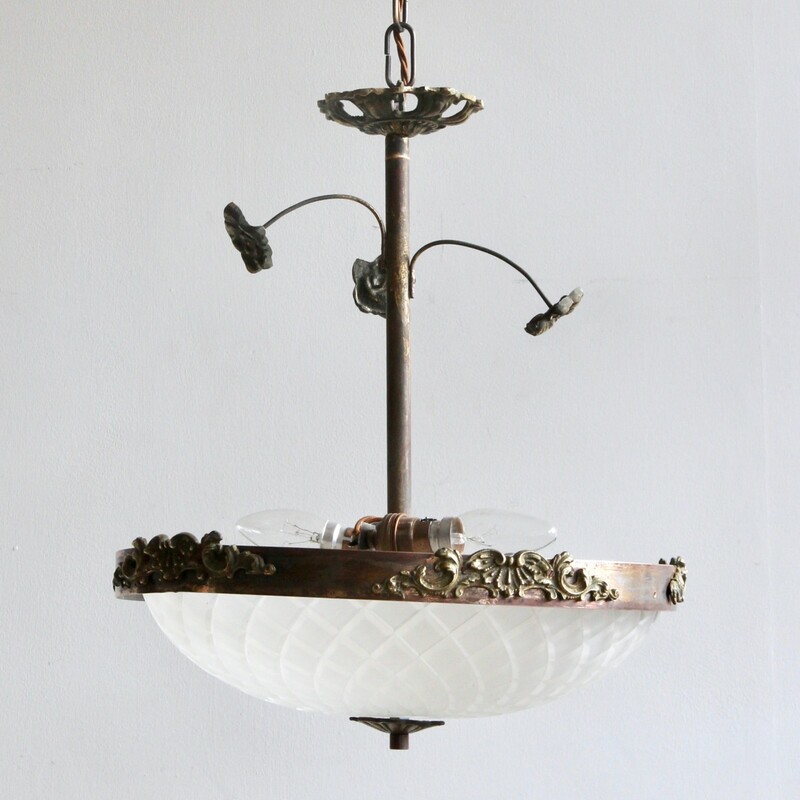 This French uplighter has two B22 lamp holders and would be ideal in a hall way or landing space. This pendant has been fully restored and rewired here, in Stockport, near Manchester by our small team of experts and is now ready to be installed. We recommend that this pendant is installed by an electrician and into a joist or a supporting noggin. To clean the French brass uplighter dust the brass regularly with a soft cloth. The glass shade can wiped with a glass wipe or a cloth that has been sprayed with glass cleaner on both sides. A final wipe with a paper towel will give a polished finish.